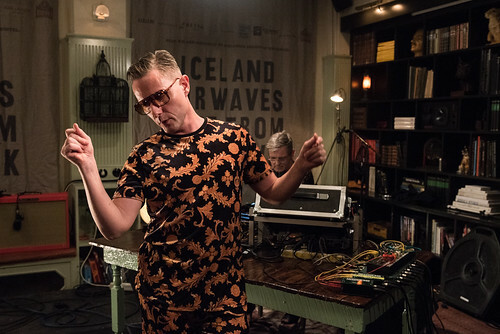 Next on KEXP’s broadcast live from Kex Hostel at Iceland Airwaves Music Festival was Icelandic electronic band Gus Gus. 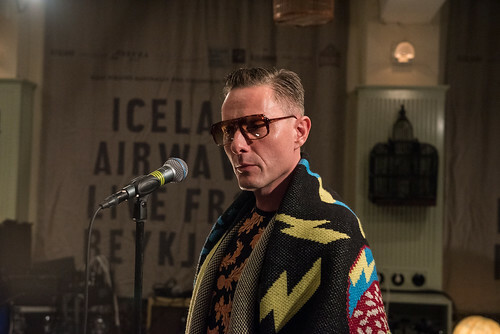 Formed in 1995 by filmmakers Stefán Árni and Siggi Kjartansson as a film group and acting collective, the group’s purpose quickly changed with the addition of programmer Biggi Thórarinsson and DJ Herb Legowitz. 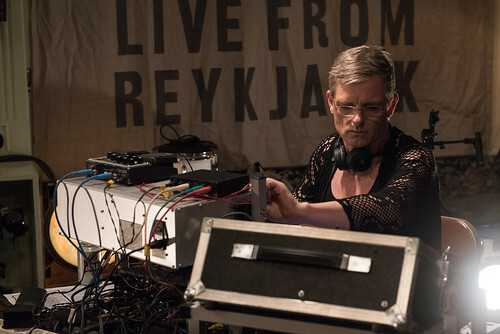 GusGus’s lineup has changed rather drastically over the years, ranging from 12 members at their largest to just two at their smallest (today's set is performed by a duo: Birgir Þórarinsson a.k.a. 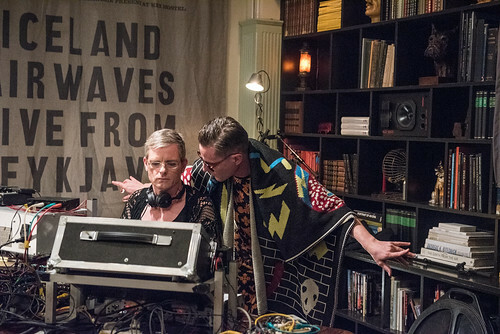 Biggi Veira and Daníel Ágúst Haraldsson). 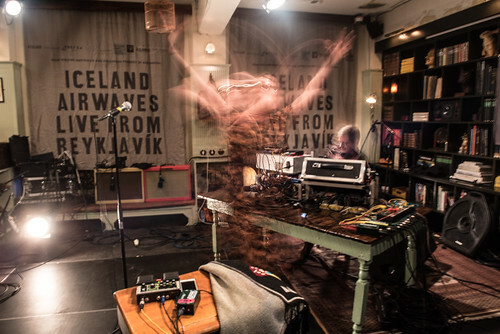 As their popularity has grown over the years, their sound has only become more experimental and more polished, creating textured soundscapes you can shake your booty to. 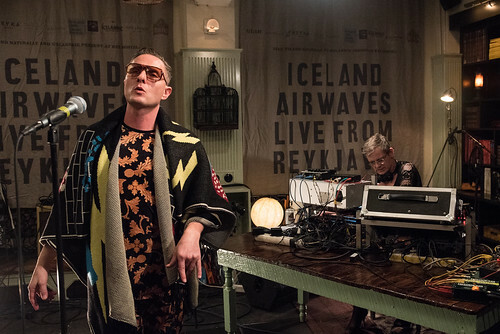 Kex Hostel was packed to the rafters, the room erupting as GusGus walked onto a stage so criss-crossed with wires, you'd think they were powering a small city. GusGus opened with "Lies Are More Flexible." Because the song doesn't have vocals, Daníel's participation was more visual than musical for the first part of the show, spending any time he wasn't singing dancing over Biggi as if performing an elaborate ritual or spell. When he finally sang in "Featherlight," his voice was so pure and clear that if I wasn't watching him with my own eyes I would doubt he was even singing live. Spacey, bright and futuristic, "Featherlight" is GusGus' most recent single, with an album expected next year. GusGus rounded out the set with the haunting "Deep Inside", one older song punctuating a set full of new work. "Deep Inside" is more sparse, clicky, and etherial. This song seemed to be what everyone was waiting for, because within moments the politely packed crowd turned into one moving, undulating mass, later dissolving into an all-out dance party. The entire room was vibrating with the bass, and by the end our ear drums were rattling, but it could not have been more fun.